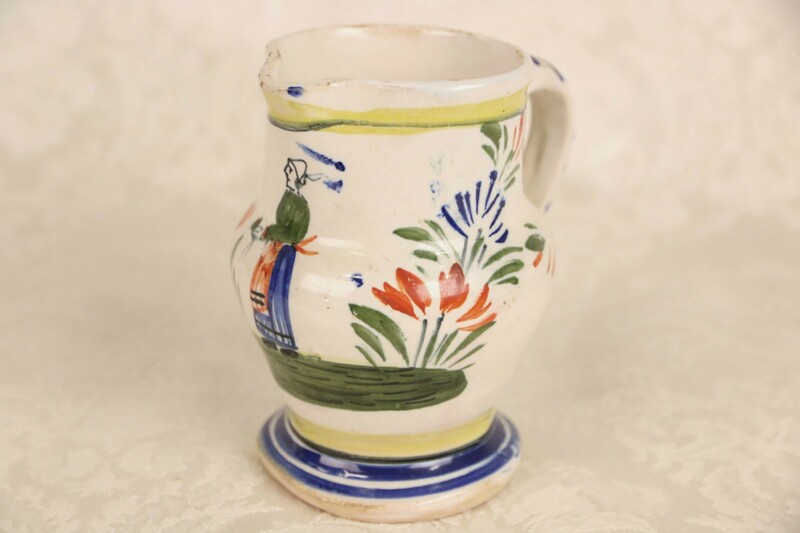 Signed "Henriot Quimper," this hand painted cream pitcher is from Brittany in France. There is roughness to the rim of this pottery, see photos. Size is 4" across and 4" tall.